The legend of Bigfoot is turned upside down in this animated adventure from Warner Bros, featuring the voice talents of Channing Tatum and James Corden. ‘Smallfoot’ hits theatres next fall. 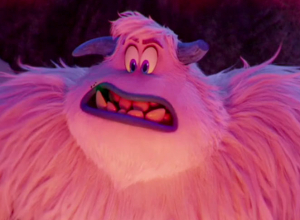 Migo (Channing Tatum) is a bright young Yeti who one day stumbles across something he thought was only a fireside legend - the 'smallfoot', better known as a human. 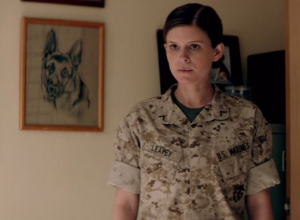 Megan Leavey is a young US Marine corporal who has never been brilliant at connecting with people. Her mother isn't happy about choice of profession, but Megan finds something within herself as a Military Police K9 handler, finding it much easier to bond with dogs than her comrades. One day she meets Rex; a working dog whose skills include detecting explosives and attacking. Unfortunately, he happens to be one of the most vicious dogs on the team, but Megan isn't going to led that deter her. She's determined to train Rex and teach him discipline and they form a relationship, saving thousands of lives as they embark on over 100 missions over two Iraq deployments. However, when an IED explosion leaves them both injured, Megan decides she wants Rex to retire and live out the rest of her days with her. That's easier said than done. 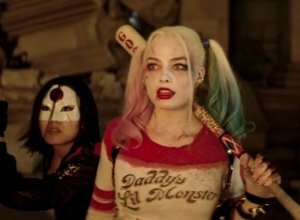 The Suicide Squad was formed by Amanda Waller, the head of Belle Reve Penitentiary and a high ranking government official. Wishing to protect the world from deadly threats, Waller formulates a plan to reform (by force) a number of her most special inmates who all possess unique abilities. The Barbershop gang are back once again. Having had to team up with Angie's ladies salon to be able to stay afloat, the Barbershop is no longer a man only zone and not all of Calvin's customers are happy having to share but they make it work. Sharing the salon floor is the least of the towns problems, ever more frequently their streets are being overrun by gangs fighting for territory, new corner boys and customers. Calvin and the residents who love their town and want it returning to its former state, decide to take matters into their own hands. 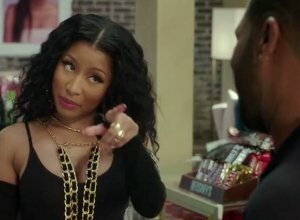 Barbershop: The Next Cut is the forth film in franchise which includes a spinoff called Beauty Shop. The film was directed by Malcolm D. Lee who directed the hugely successful 'The Best Man' series of films. Is it really wise to trust your most dangerous sworn enemies? Sometimes you have little choice when there are threats in the world too brutal to put your best men on. Amanda Weller is in charge of a top secret government organisation known as A.R.G.U.S. 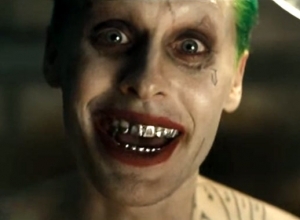 They have in their detainment some of the world's craziest psychopaths, supervillains and powerful mutants, and while they are being of no use to society stuck in prison cells, Weller introduces a brand new team known as the Suicide Squad in which these criminals can carry out seemingly impossible missions with the promise of freedom or, at least, reduced sentences. 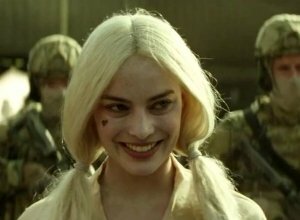 Among them are such fiends as Harley Quinn, The Joker, Captain Boomerang, Deadshot, Enchantress, Rick Flagg and Killer Croc - who are all willing to band together and save the world, even if they die trying. Rosie Huntington-Whiteley was one of the most breathtaking beauties at this year's Met Gala fashion event. She was snapped stepping out of the Mark Hotel in New York with a guest wearing a gorgeously shaped pale pink gown with her long hair pulled back into a bun. The uncompromising director has sparked outrage among some of Chicago's residence for using the city's nickname 'Chiraq', and are worried that the project may end up glamorising violence. 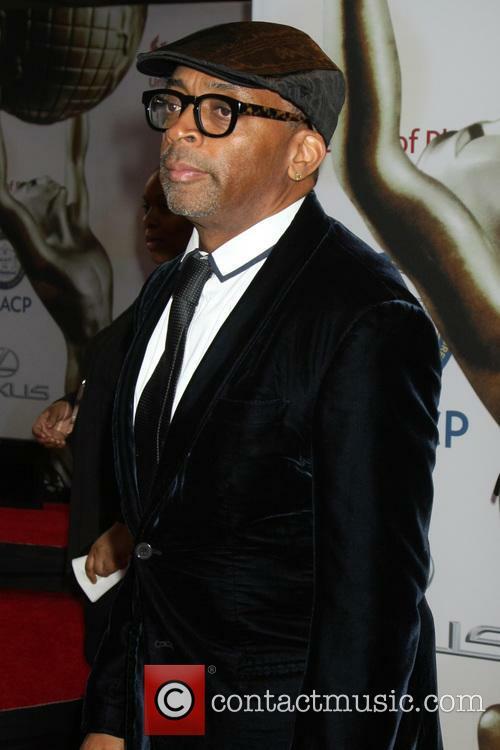 Famed director Spike Lee was accused of insulting the residents of the city of Chicago by titling his new project ‘Chiraq’, a movie which will look at education and violence. He has also been criticised for doing damage to the city’s reputation and hurting tourism by choosing the term. The moniker ‘Chiraq’ is a nickname sometimes used for the city by its young inhabitants, referring to its reputation for street violence and gun crime. But a number of anti-gun crime campaigners and tourist officials have pulled up Lee, a director famed for his uncompromising depictions of struggles in society, for perpetuating an unhelpful stereotype by choosing the title. Dwayne Johnson miming and dancing to Taylor Swift? Yep this actually happened. 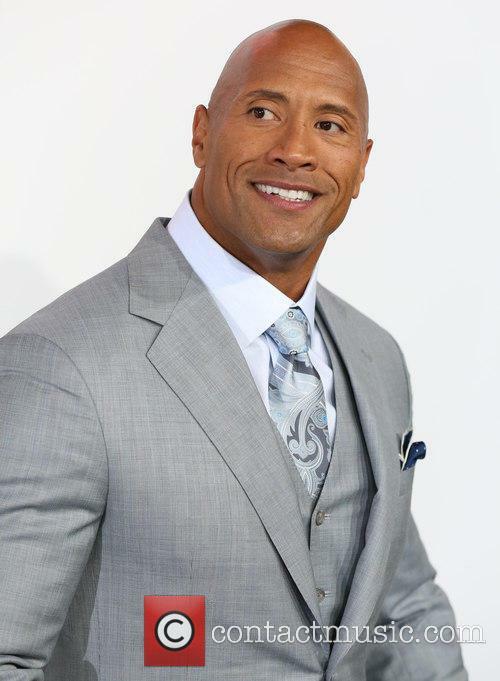 The Rock aka Dwayne Johnson, stole the show in the first episode of Spike’s ‘Lip Sync Battle’ which pits a pair of celebs against each other every week in the ultimate miming contest. 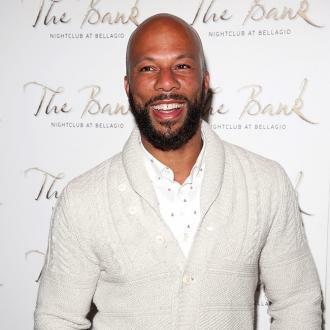 The former WWE champ teamed up with rapper Common to take on Jimmy Fallon and John Legend on Thursday evening, demonstrating his miming skills to Taylor Swift’s ‘Shake It Off’. Johnson performed Swfity’s modern pop classic, as well as donning the infamous John Travolta white suit for a rendition of the Bee Gee’s ‘Stayin’ Alive’. 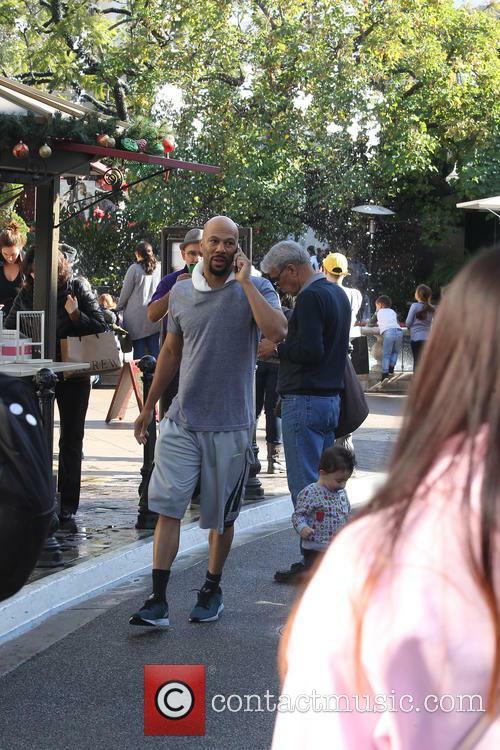 The 42 year old’s partner Common also performed Lionel Richie’s 'All Night Long' and 'I Want You Back' by The Jackson 5, helping to secure victory for the pair. With a script by Brad Ingelsby (Out of the Furnace), this thriller has more substance than most, although it's also been compromised by the inclusion of a lot of contrived action mayhem. At its centre, there's a nice exploration of two retirement-age men looking at the world they have created, and how things have changed since they made key decisions as younger men. But director Jaume Collet-Serra (Non-Stop) seems uninterested in these serious themes, and would clearly rather stage another shoot-out or chase instead. Liam Neeson stars as Jimmy, a lifelong criminal who's now a wheezy husk of his former thrusting self. 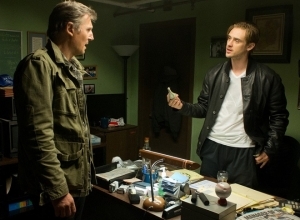 But he maintains his childhood friendship with Shawn (Ed Harris), who turned his crime empire legit but is having problems keeping his son Danny (Boyd Holbrook) out of trouble. Now Danny has made a dodgy deal with some Albanians, and when that goes predictably wrong, it accidentally puts Jimmy's estranged good-guy son Mike (Joel Kinnaman), his wife (Genesis Rodriguez) and kids in danger. 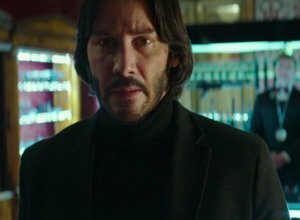 So Jimmy sets out to set things right, although this means that he ends up on opposite sides of the conflict from Shawn. And he and Mike also have to outrun his detective nemesis (Vincent D'Onofrio) and a ruthless assassin (Common). There's a nice sense of respect and inevitability to the relationship between Jimmy and Shawn that goes a long way in making this overlong movie watchable. 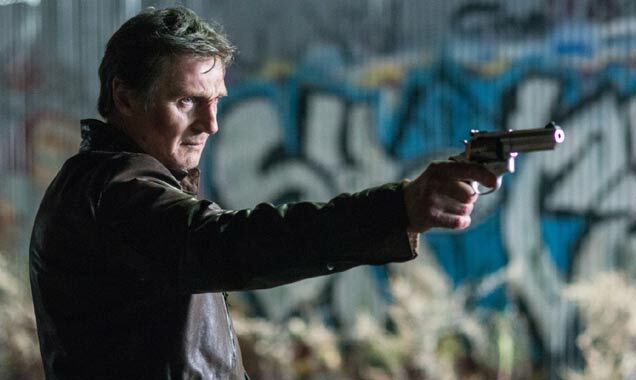 Neeson and Harris are terrific at playing men who are too old to be running around with guns. Their quietly tense conversations are by far the most riveting scenes in the film. 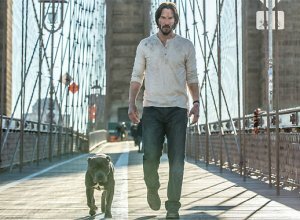 By comparison, the action sequences feel rather routine: brutal and fast, with flashy editing, outrageous stunts and more firepower than is strictly necessary. And for a man who can barely stand when the film opens, Jimmy is suspiciously able to run, jump, drive and shoot like a trained professional a third his age. Legend used the Oscar platform to address an ongoing injustice. Was there really any doubt in anyone's mind that Glory would win for Best Soundtrack this year? Didn't think so. 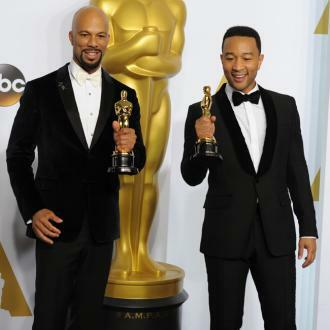 John Legend accepted the award in classic John Legend style, with a rousing social justice-themed speech. 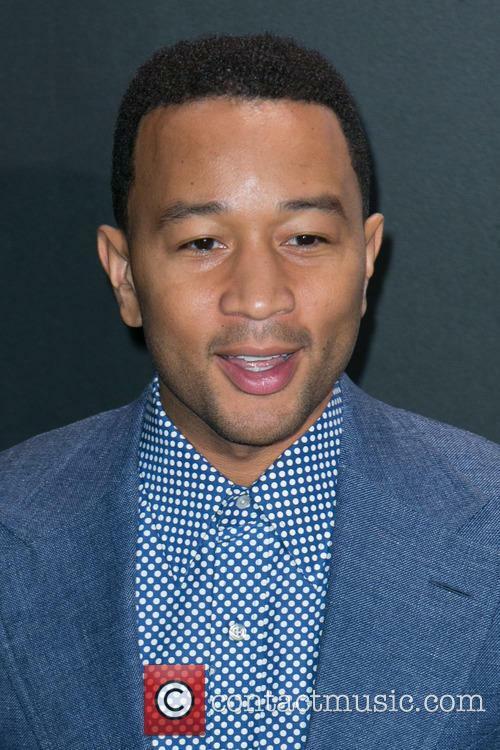 John Legend used his platform to address the injustices African Americans face in the American justice system. His speech focused on the plight of African-Americans trapped in the current American justice system, comparing their numbers to those of slaves in the 19th century.